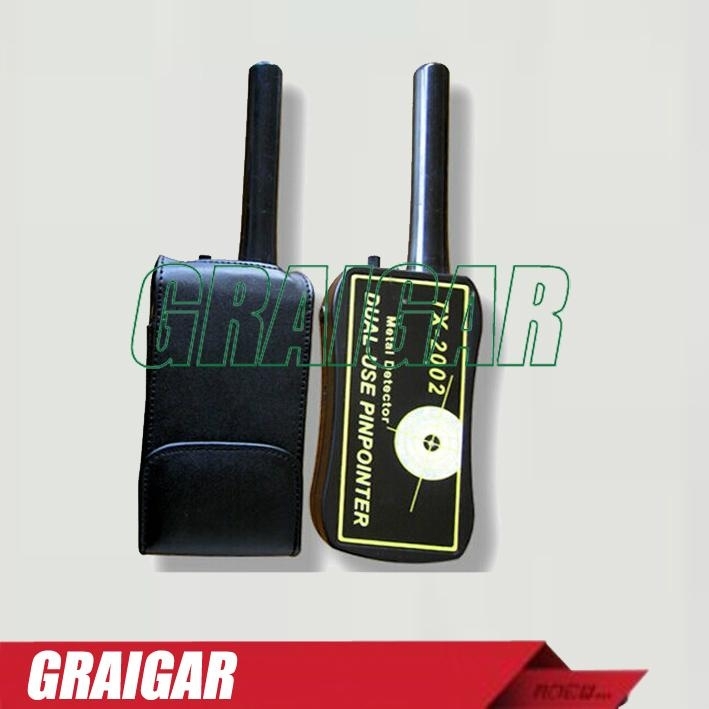 The Dual-Use Ultra High Sensitivity Pinpointer is a miniature version of a primary detector. It communicates through sound and lights, has 10cm waterproof detect pole. The modern electronics and simple to use design make locating elusive targets easy in any environment including grass, mud, dirt, sand, black sand, or even in wet place. Also, it can be used in detecting the steel rods and other metal materials in concrete wall. The detector is versatile and easy to use. Without it during detection, you will waste time and energy. With your TX-2002 pin-pointer, you can locate elusive metal such as small coins, relics, jewelry, gold and silver, etc.) in sands, dug holes, divots, tec. The detector is versatile and easy to use. Without it during detection, your will waste time and energy. (1) Communicates with buzzer and LED light: Unit signals with buzzer and red LED light when a target is located. (2) Detection depth stability: New advanced circuitry maintains the unit's detection distance throughout the life of the battery. (3) True target direction: The Pinpointer detects at the tip only, not along the shaft, enabling precision target pinpointing. (4) Adjustable sensitivity: Suitable for different demands. (5) On/Off button switch: On/Off button switch is in the side of the pinpointer. The place of the switch is easier for operation. Has white LED Power ON Indication. (6) Waterproof: Unique sealed design of the detection pole allows the Pinpointer to be used in the rain, mud or any wet place. (7) Low power consumption: Pressing ON all the time until a target is found, this operation method reduces the liability to waste the power during no detection. (8) White LED light: Pressing the Power Switch, the white LED is lit. It is used instead of torch. (9) Easy battery installation: The standard nine-volt battery is quickly changed without tools. (10) Solid construction: The detect stem's rugged sealed construction and good material are built to last.